Some small improvements now under study (for that reason the denomination "evo"). 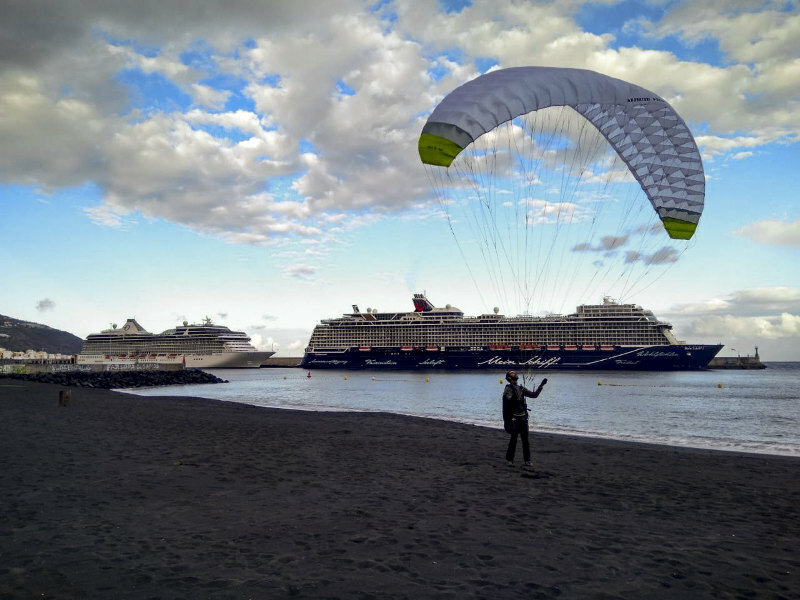 This prototype was built in november 2018 by Jose Guillén in La Palma (Canary Islands). The constructor has already made another prototype using low cost materials. To study the best configuration of the anchors in the area of the triangles, extensive laboratory tests have been carried out. The results are shown below. Information for editing and summary with more detail. - Circular reinforcements: nylon ripstop 68gr / sqm. Radio 8cm. Adhesive ripstop in stabilos. - Brake anchor tapes: 13mm polyester grossgrain ribbon. 20cm strips sewn with a loop at the center and at a distance of 7.5cm on each side of the rib. 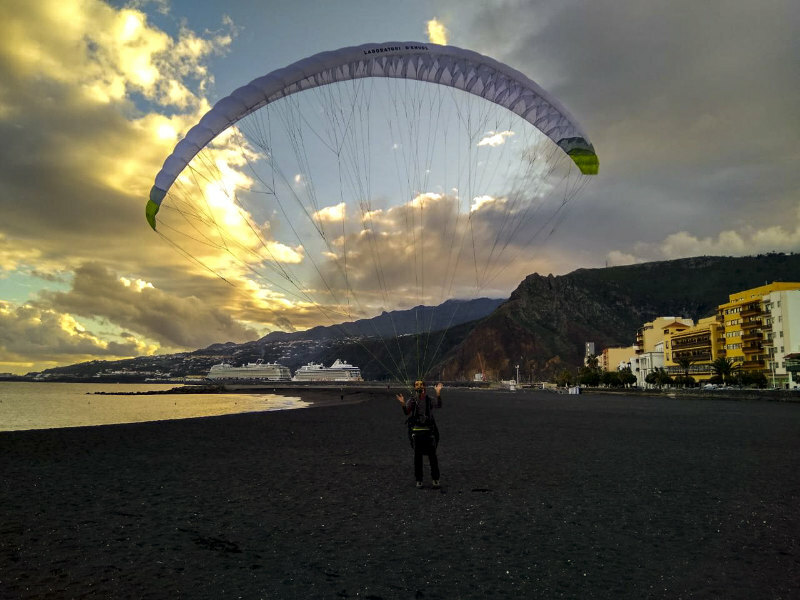 LAB NOTE: Build a paraglider at home is a very complicated task (even simple skin), and requires many hours of work. Previous experience is required, and very inventive. As always remember that: The free flight implies risks that can only be known and they can be controled with a suitable formation on the part of a recognized school. Not test wings without knowing their functioning. The construction and test of experimental wings without certifying requires deep knowledge of what is being made.